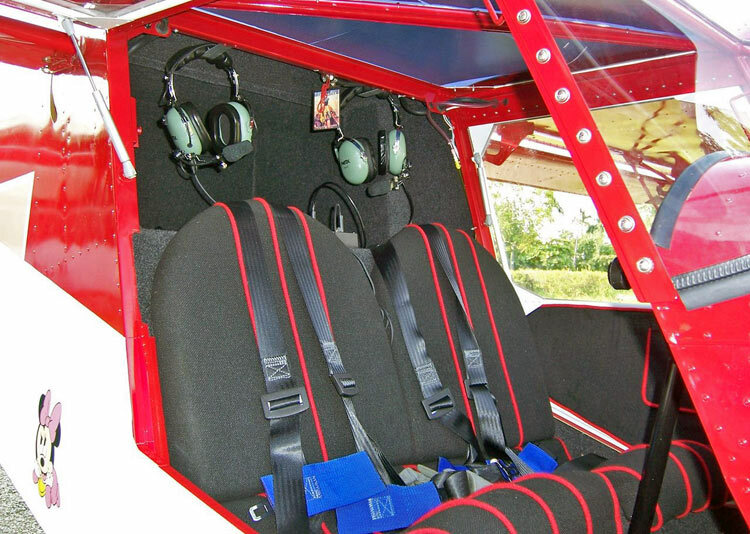 The STOL CH 701 offers comfortable two-place side-by-side seating in an ergonomically designed 40-inch wide cabin. The cabin interior is designed to provide comfort for two adults. Large doors on either side allow easy access to the cabin from both sides, and can be quickly removed. A new optional single-piece formed acrylic bubble door is available to maximize cabin width. The door is hinged at the top (as pictured) and each door is domed 3 1/4″ (82 mm.) to provide maximum additional cabin space. The full bubble door provides outstanding side and downward visibility. The door is fitted with the standard locking door latch (at bottom front of each door). The cabin is fitted with a large instrument panel and dual controls accessible from both the left and right seats. 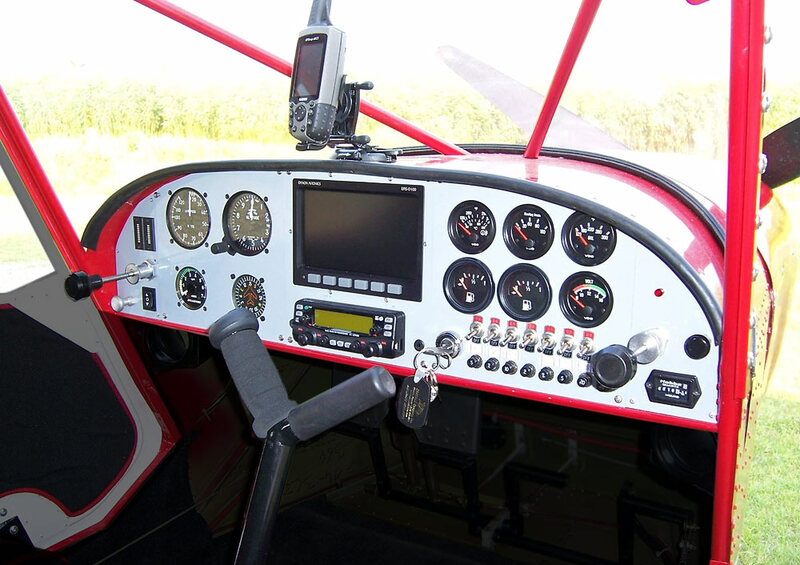 The center-mounted control column (stick) can easily be used from either side, and does not limit visibility of the instrument panel. Dual throttle controls are mounted on both sides of the panel for easy access. The panel measures about 34 inches across by 8.5 inches tall in the center to allow for custom avionics installations. The dual rudder pedals also steer the nose-wheel, and are equipped with standard hydraulic toe-brakes on the pilot’s side. The baggage area is located directly behind the seats for easy access. The standard tricycle gear configuration maximizes forward visibility when taxiing, while also providing the added benefit of a level cabin while on the ground, to facilitate access to the cabin and to maximize pilot and passenger comfort. VISIBILITY: Unlike other high-wing designs, the STOL CH 701’s wings are positioned above the cabin and fuselage to provide pilot and passengers with superior visibility. 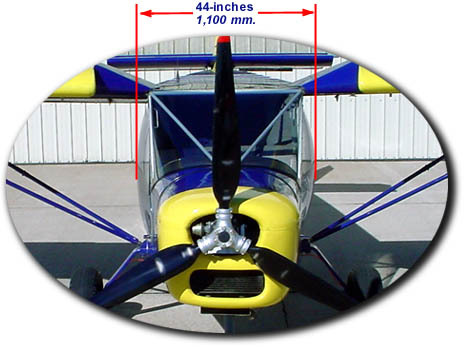 The “Above-Cab” wings taper at the wing root to maximize upward visibility while also providing superior side visibility, as the wings are located above the pilot’s head. As all seasoned bush pilots will confirm, off-airport operations require an aircraft with superior visibility – for operations in tight areas and to allow the pilot to choose suitable landing areas. The large “wrap-around” windows and “Above-Cab” wings allow unparalleled visibility. The tricycle gear configuration also allows excellent forward visibility while on the ground – crucial when operated in off-airport fields. 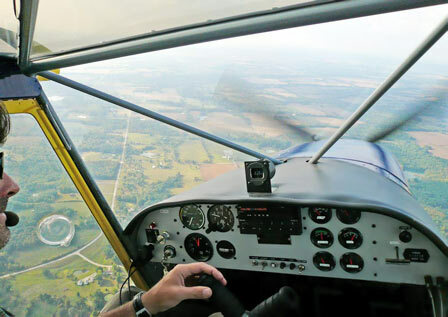 “…designed for safe slow-speed flight, and to give the low hour pilot a safe, flyable airplane, incorporating all the things we expect to find on more conventional airplanes like tricycle gear with nose-wheel steering. 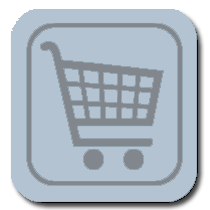 “Access is easy through good sized doors on each side. Hinged forward, the doors are a full 34 inches wide making it easy to swing into the well padded fixed seats. Cabin width is a comfortable 40 inches, somewhat less intimate than some of the competition.